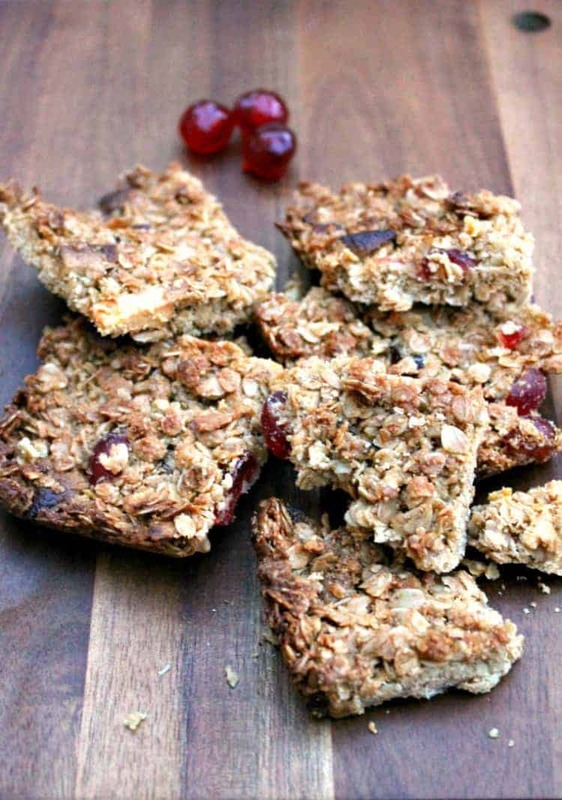 These cherry, almond and white chocolate flapjacks have a delicious combination of juicy glacé cherries, chunks of white chocolate, and I have also added ground almonds which add a delicious nutty flavour. Of course you could also use flaked almonds or chopped whole almonds too. 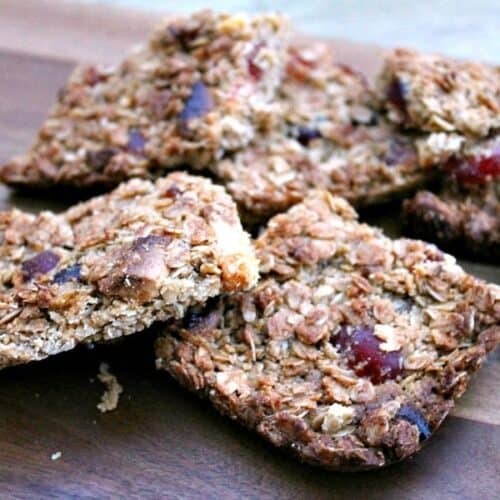 Don’t you just love flapjacks, they are so easy to make and taste great. I don’t often have the time to bake midweek, but it didn’t take me long at all to dig out the ingredients from my store cupboard and make these flapjacks. I was so glad I did as my cherry, almond and white chocolate flapjacks went down very well the next day with my kids and my colleagues at work! I always think that flapjacks are a delicious bake to make and share. I always have a bag of rolled oats in the cupboard for porridge and overnight oats so it was a lovely treat to make flapjacks with them. It’s a lovely surprise when eating these when you find a chunk of chocolate nestling inside or a piece of cherry. My favourite part of flapjacks are the crispy dark bits you get round the edges. How about you? One of the reasons I took these into work was to stop myself from demolishing the lot! A quick note to my readers! If you are reading this and are from the USA then flapjack might mean something else to you, a pancake. 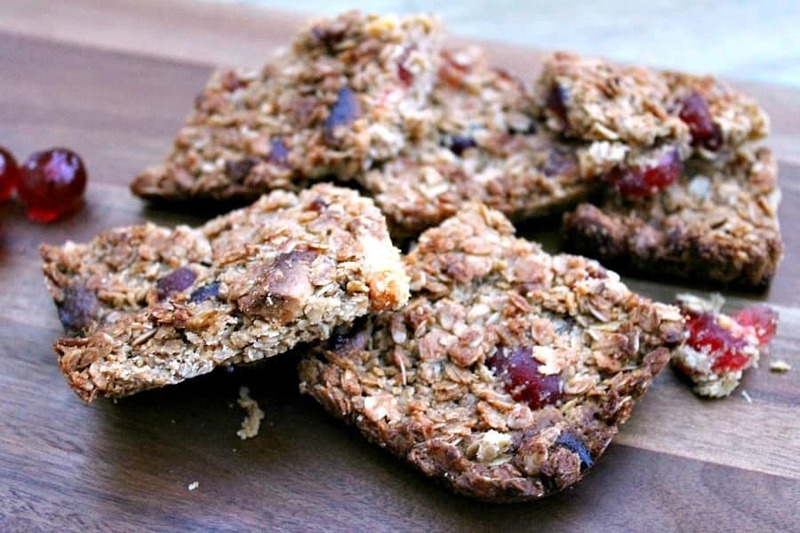 Here in the UK, flapjacks are a traditional traybake made with oats, butter, golden syrup, and sugar, as you can see, similar to granola or oat bars. We enjoy then as a tasty baked treat. Why not try them out. 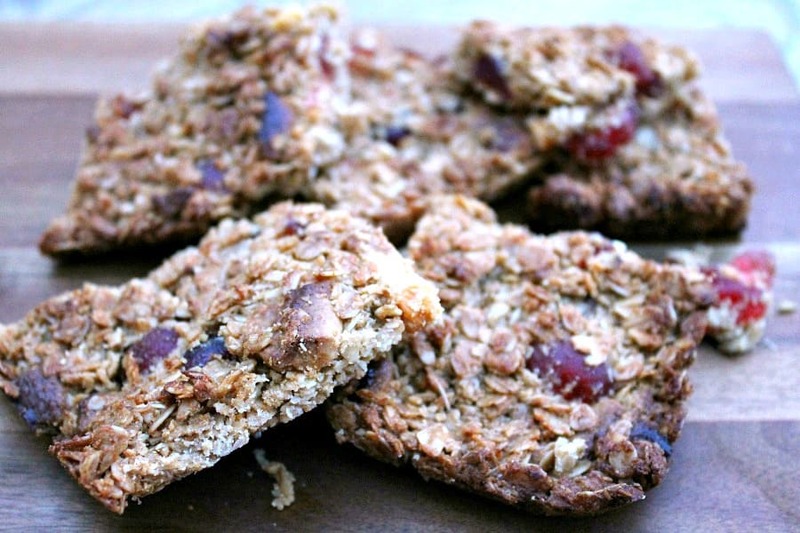 Pin my flapjack recipe for later! Preheat the oven to 180 degrees (fan). Melt the butter in the microwave, then stir in the dark brown sugar. Mix until melted and smooth. Then add the golden syrup. Weigh the oats and place them in a large bowl. Pour over the butter and sugar mixture and mix well. Stir in the halved cherries, ground almonds and white chocolate. Prepare your baking dish (I used my square Pampered Chef stone baker which does not need to be oiled or lined). Press the mixture in. Bake for 25 minutes until golden and crispy. Remove from the oven and allow to cool, then cut into squares or bars. Sending my flapjacks over to We Should Cocoa with Choclette from Tin and Thyme as they contain delicious chunks of white chocolate. Also sending them over to Treat Petite with Cakeyboi (hosting this month) and The Baking Explorer. These sound gorgeous Lucy. 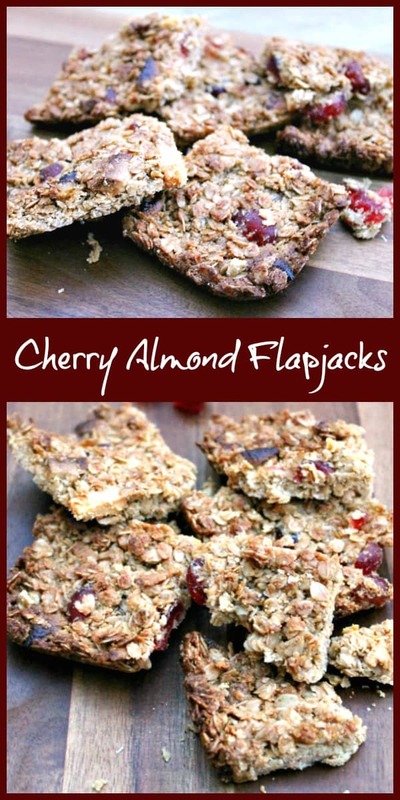 I’m a big flapjack fan, but have never tried this particular combination before. Your work colleagues must love you. Thanks for sharing with We Should Cocoa. Thanks Choclette, they went down very well at work! thanks Stuart, I am loving all the bakes in Treat Petite this month!